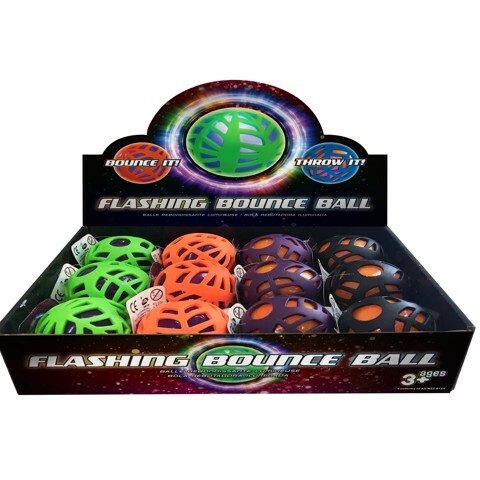 Light Up Bouncing Ball. 6cm (Diameter). 4 Assorted Colours: Orange w Purple Cover | Orange w Black Cover | Purple w Orange Cover |Purple w Green Cover . TPR . 52G Packaging: Hang Tag l 12pcs in SRT.